I’ve been working my way through the region on my #24byBike tour, and have seen so many great projects in action and more work that needs to be done to make the region livable for all. This weekend I biked through Lake Oswego, West Linn, Oregon City, Gladstone, Oak Grove, and Johnson City without riding on any major road. Today’s ride in #24byBike was a great example of how industrial areas, housing, and jobs can coexist with natural areas and trails. It doesn’t have to be a zero sum game. Wilsonville has experienced a lot of economic growth and industrial development and we need to make sure that it’s fully connected to the rest of the region. Let’s continue to build complete communities here and in all parts of the Metro region! Bringing light rail to Milwaukie was a big achievement we reached in Clackamas County but the work doesn’t stop there! The Tigard Triangle is a great example of redevelopment with an affordable housing component. Thanks to Community Partners for Affordable Housing, Inc. (CPAH) for showing me this future home of affordable units! With two retired paper mills on either side of the Willamette River, in West Linn and Oregon City, we need to continue to reimagine our local economy with innovative and clean businesses. It starts here where Oregon began! 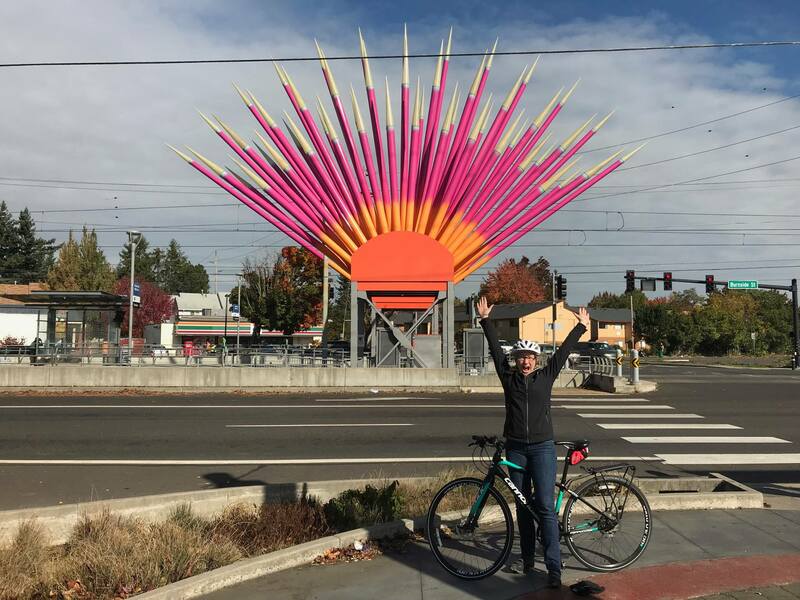 Check out this awesome shoutout to my #24byBike tour from BikePortland.org! I hope to see you biking in the Worst Day of the Year Ride 2018 this Sunday!